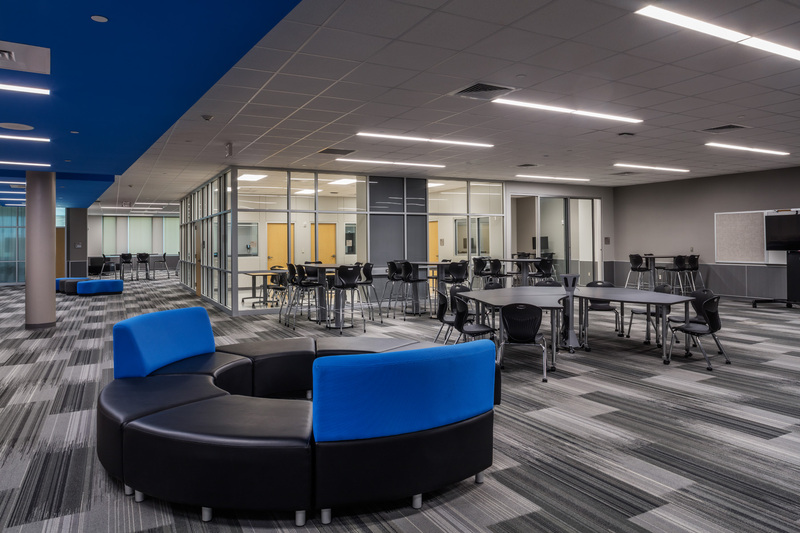 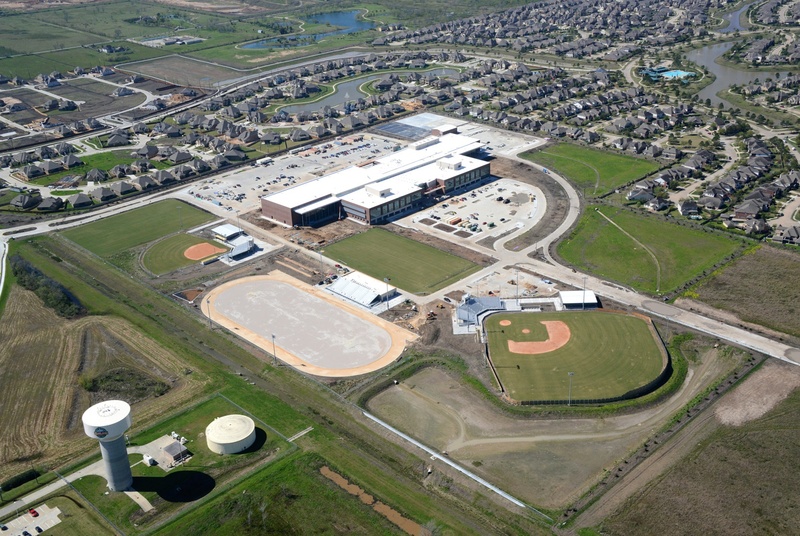 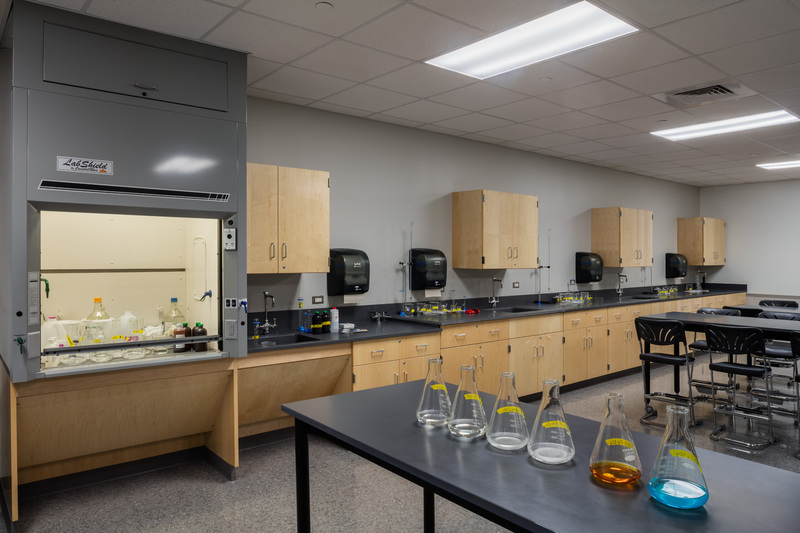 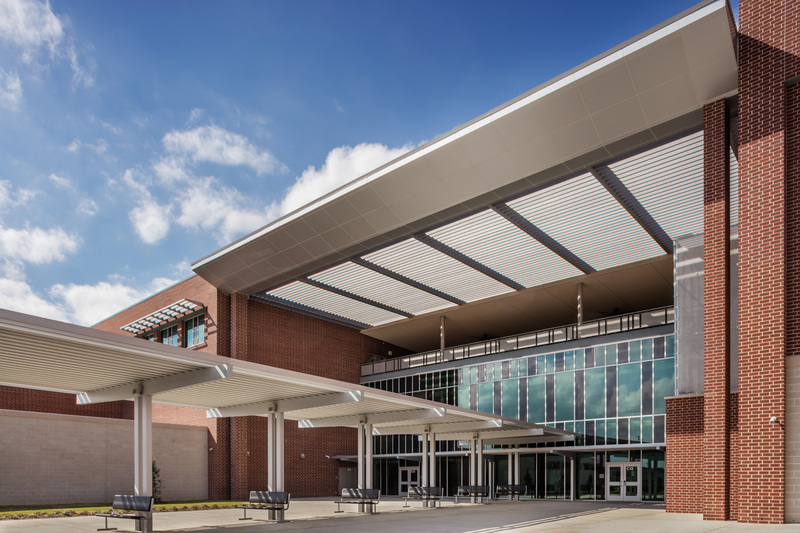 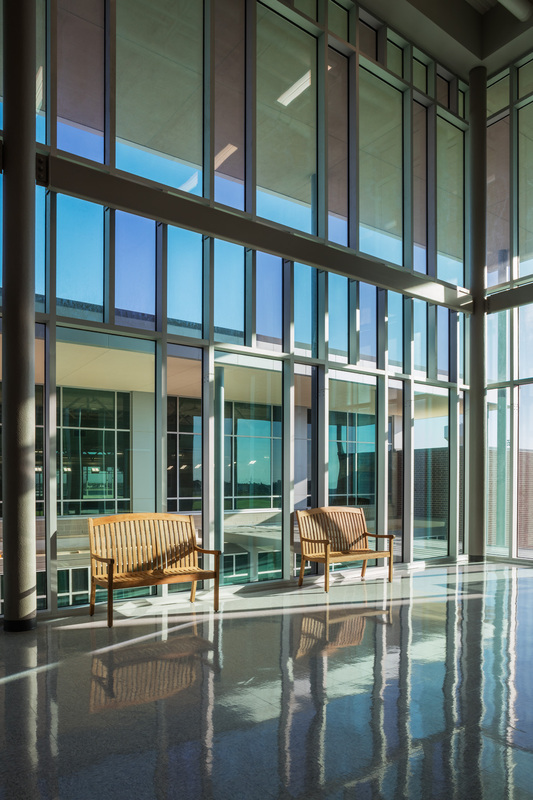 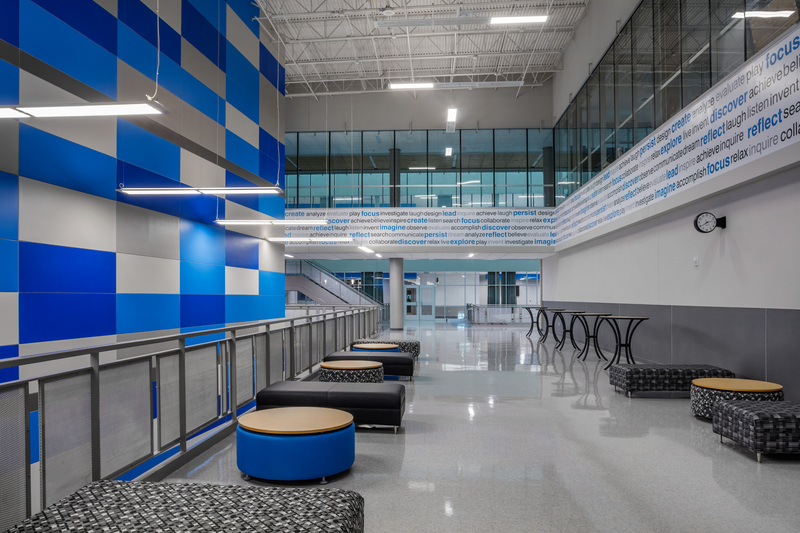 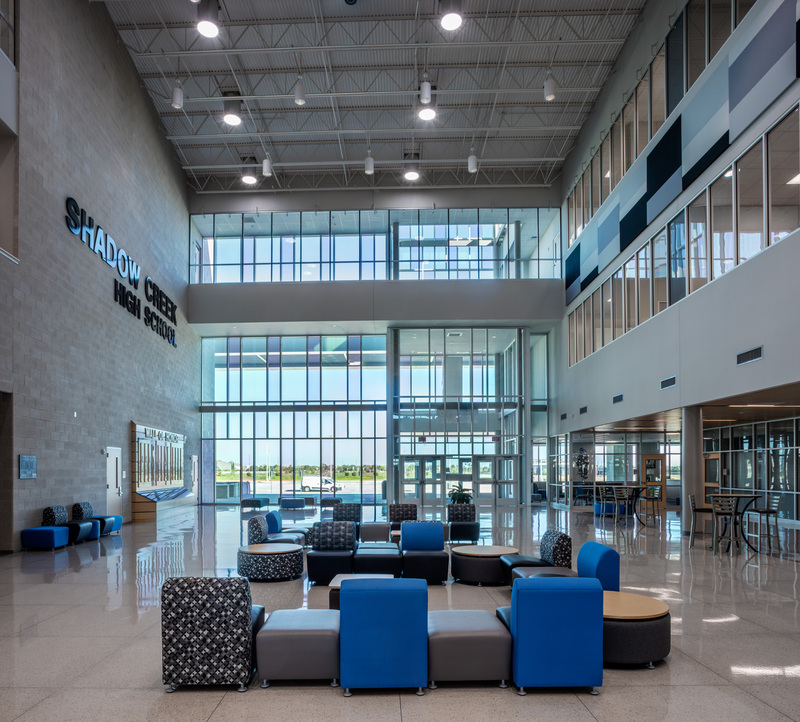 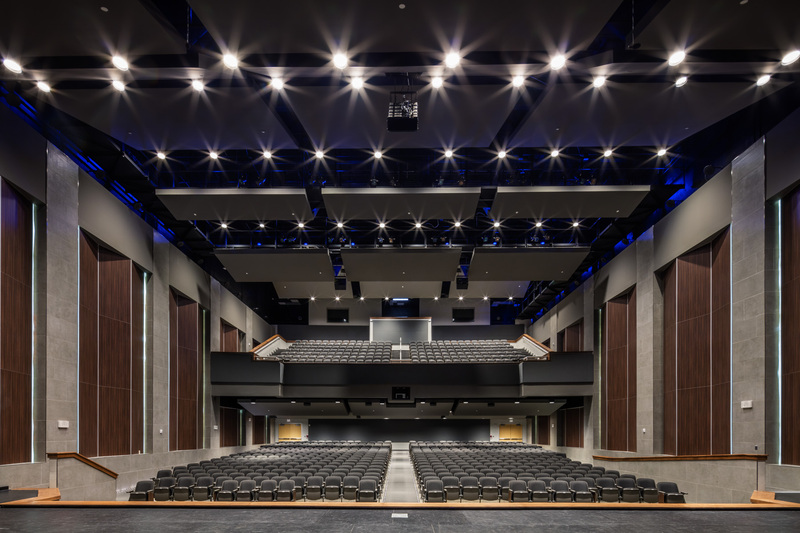 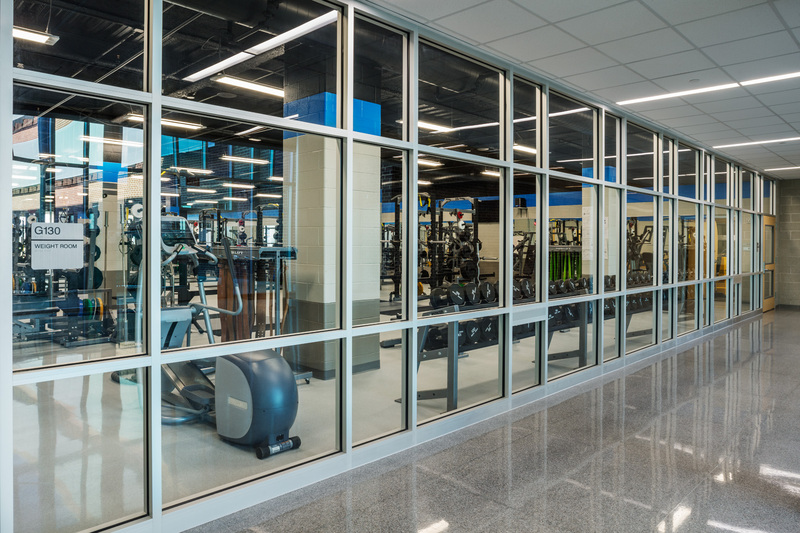 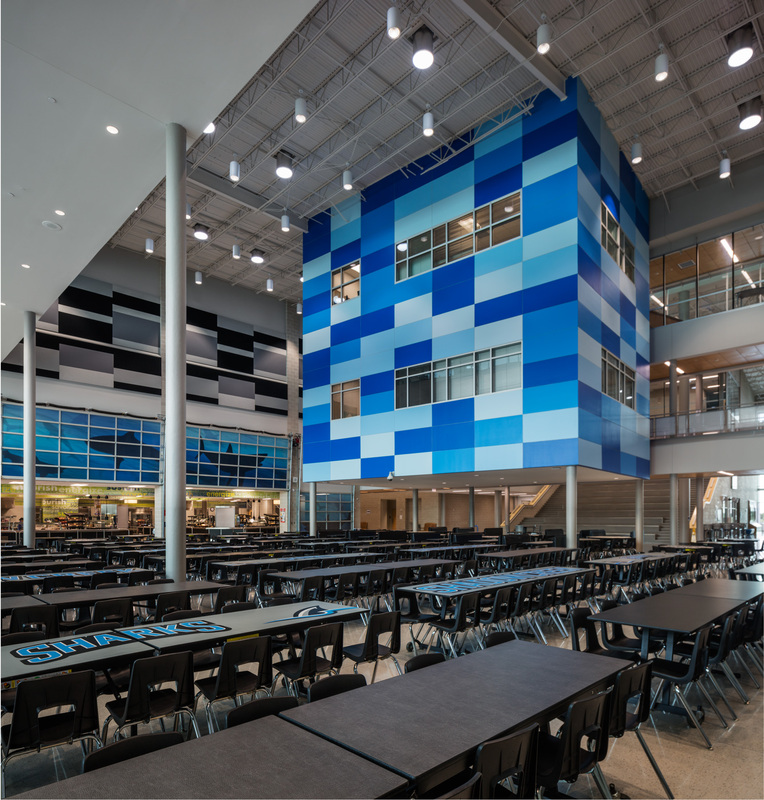 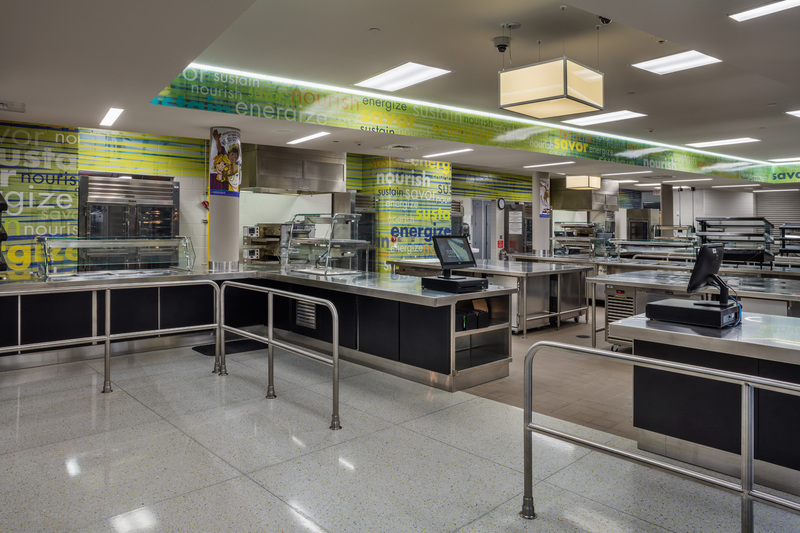 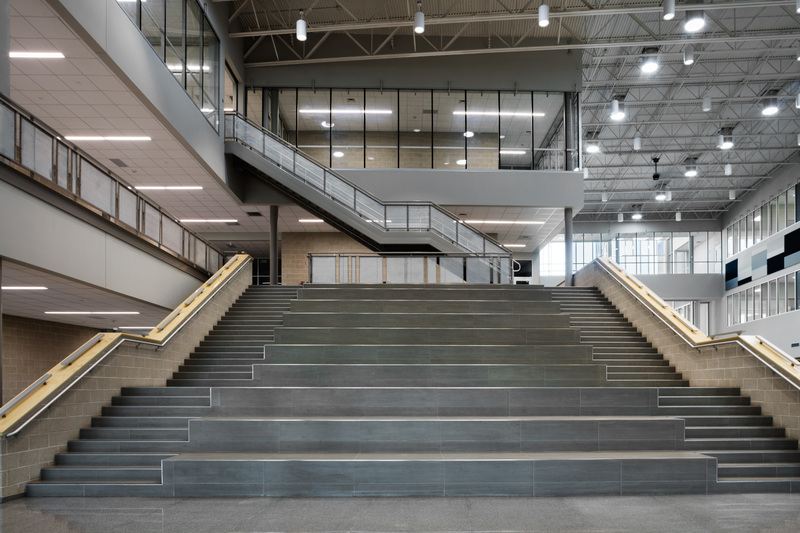 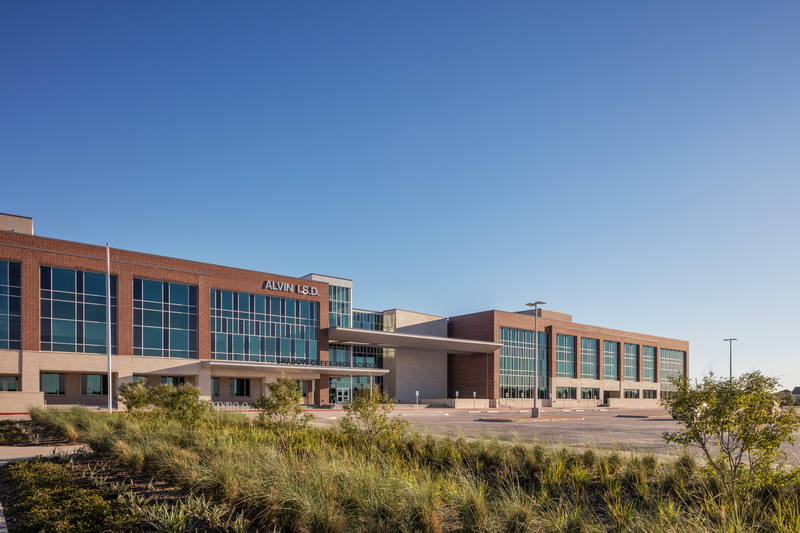 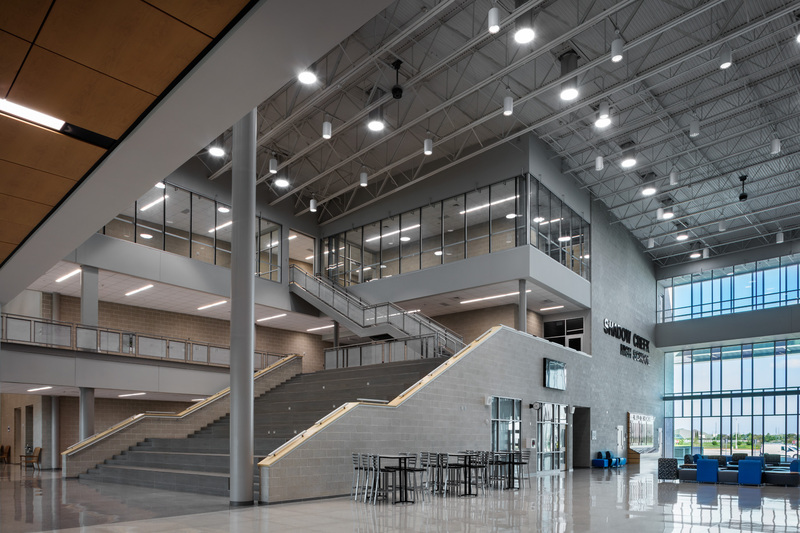 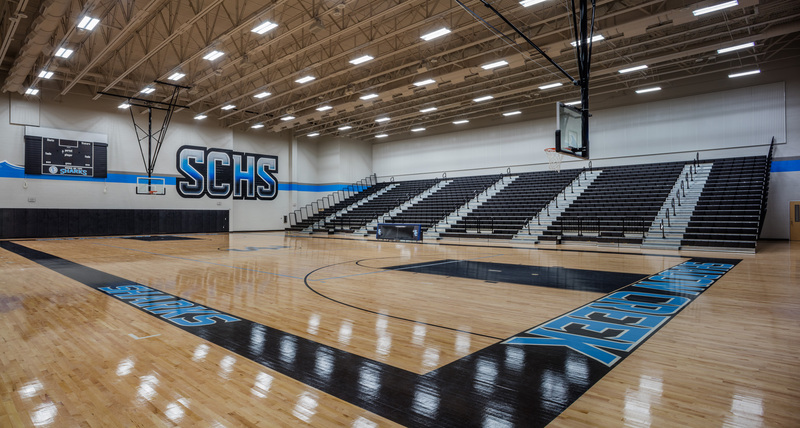 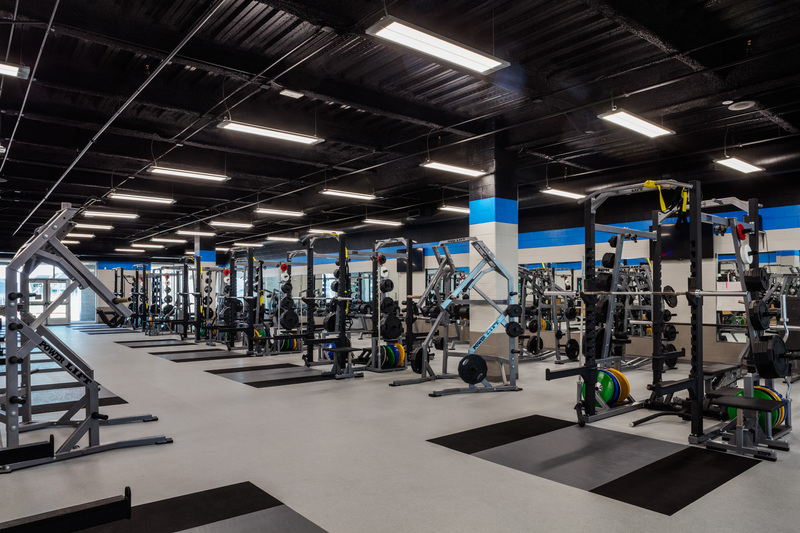 Alvin High School No .3 – Pearland, Texas New three-story 470,000 SF high school for Alvin Independent School District. 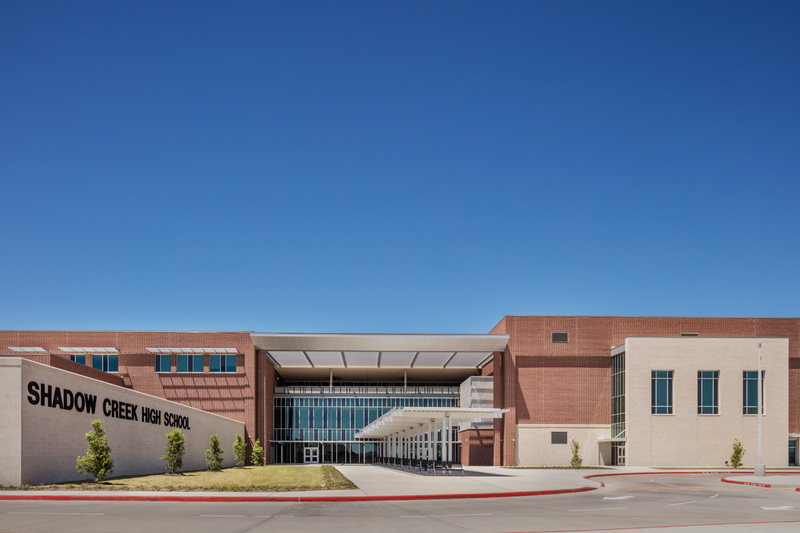 This high school campus houses approximately 2,500 students. 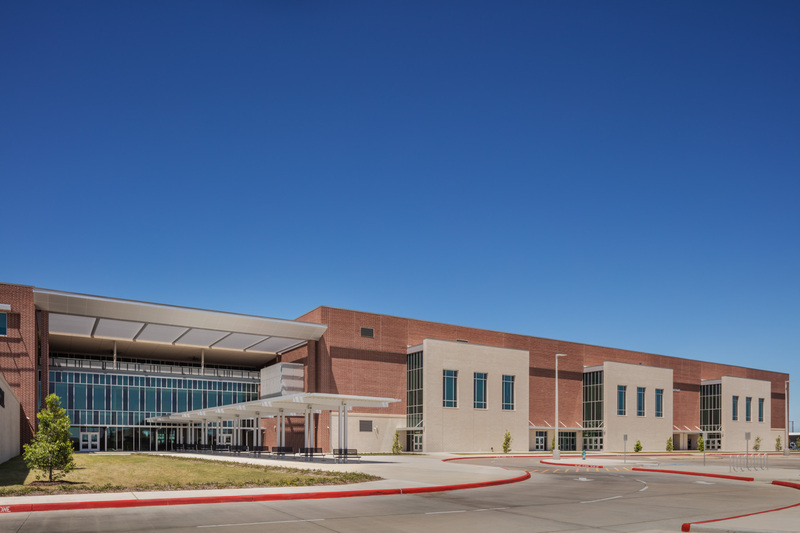 This project started with a three story open concept student union and entry and then continues with associated classrooms, cafeteria, administration offices, library, college career resource center, science labs, culinary lab, weight room, performing arts center, drama room, animal science / wildlife classroom, horticulture and landscape classroom, medical clinic, band hall and practice rooms, choir lab, practice and competition gymnasiums and locker rooms, football field and press box, soccer field, track and field, tennis courts, baseball and softball fields.